a brand new Mercedes-Benz G280 CDI these cars are purchased in 2009 in a number of 128. 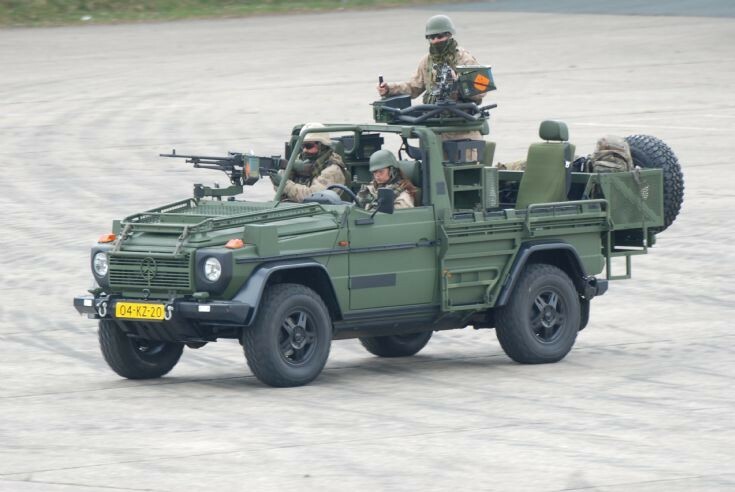 40 cars are used by the Royal Netherlands Marines. The other 88 are in use by the Royal Netherlands Army.